It’s Poetry Month! Did you know that? Today I attended an Open Mic night full of poetry and good people. 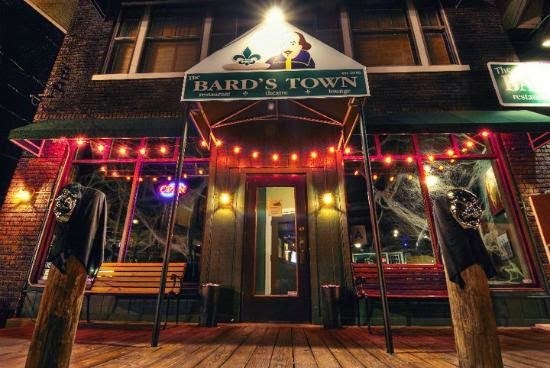 It was at The Bard’s Town on, obviously, Bardstown Road. I’d never been there so this was a first time open mic as well as the restaurant. I arrived around 6:20. The show didn’t start until 7 but I like to get a good feel of the atmosphere and all. I ordered me a salad with grilled chicken and a water, but then added a Sprite. I shouldn’t have. Lord knows I need to cut down on the sugars (that’s a whole other topic). I was quite pleased with the food. The salad looked beautiful and the chicken was juicy and added to the overall experience. Believe me, dry chicken or flavored wrong…it can kill the whole salad.